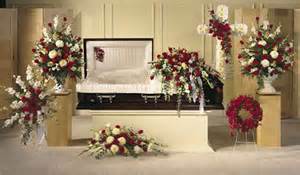 Home Funerals are legal in every state (With 9 requiring a funeral homes assistance) And embalming is NEVER required. You can honor your loved one with a personal and unique service in their own home. Home funerals are good for the Earth! Currently,each year, in the U.S. we bury 30 million board feet of hardwood, 1.6 tons of reinforced concrete, 104,272 tons of steel, and 827,000 gallons of embalming fluid. And, no, none of that is Earth friendly materials. What do you get when you combine cremation, a young female funeral director, and a sarcastic wit? 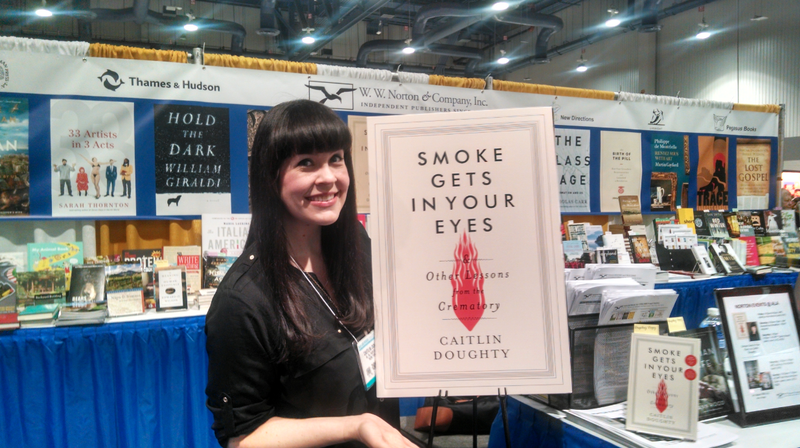 The wonderful memoir, “Smoke Gets In Your Eyes, And other Lessons From the Crematory”, written by Caitlyn Doughty. Now it isn’t often I would tell you to read a book with so much death and somewhat vulgar imagery (not true I will always recommend these books), but with Caitlyn’s unique writing style it is easy to get swept up in this hilarious recount of her years at a crematory in the Bay Area. This New York Times Bestseller faces the challenge of making death a friend and not a foe. The stories are so detailed and humor fills the pages. You instantly feel the fear of death slip away and understand why her role, and this book, is so important in our death denial society. The book isn’t all trade secrets and gruesome facts but Caitlyn does make a point to lift that curtain behind the scenes so you can come up with your own judgments about what you may want your funeral and end of life to look like. We follow her story from the crematory to a Mortuary college and her first funeral directing job. She paints the picture of her ideal funeral home, where families take the reigns and conversations about death are not to be feared. Unfortunately this funeral home does not exist…yet. Caitlyn is working hard to make this funeral home a reality in Los Angeles and I can’t wait to follow her on her next adventures. Read this book if you are curious to know more but need a safe and humorous touch to get you through these morbid thoughts and curiosities. We will all be there, someday, knocking on deaths door. Why not start your conversation now by reading, “Smoke Gets in Your Eyes and Other Lessons From the Crematory.” You won’t regret it. Returning Home was featured on the news! I was so excited to share our work with the community. Hopefully more and more families will know that home funerals are an option for them. Watch the video by clicking the link below! Being a funeral director is not easy,in fact, it is extremely stressful. I always referred to it as being a wedding planner with only 3-5 days to plan the whole wedding. I ordered flowers, made church arrangements, hired a pastor, ordered the casket or urn, made sure all the legal paperwork was filed, printed and folded service cards, it was enough to make your head spin, but that’s not why I was a sad funeral director. Almost everyday was a new family, a new story, a new tragedy. I understood that. What I didn’t understand was “How do I help them?” That may sound silly when the obvious answer is “Plan a memorial service that will help the family honor their memory.” But during my 3 years as a funeral director working for a mega-corporation (Yes, you read that correctly, CORPORATION not a family business like you thought. 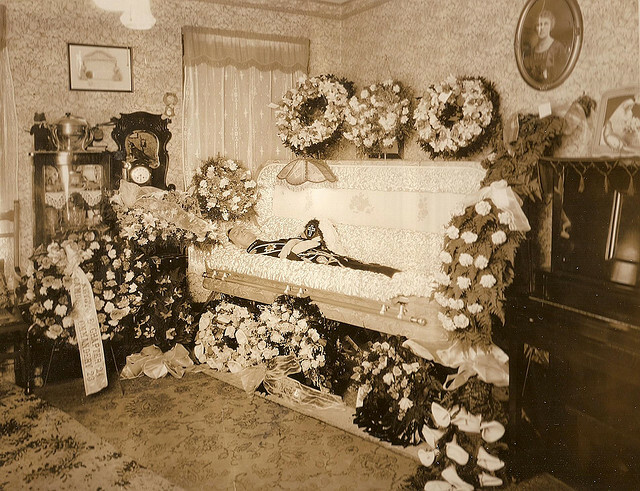 There are still family run funeral homes but they are becoming more and more scarce.) I felt like I should do more, there SHOULD be more. When tragedy hits a family your truly get to see what makes a family, how their stories are weaved together. As a funeral director my duty was pretty basic, ask cremation or burial, get all the vital information for a death certificate and burial permit, plan a service (if the family even wanted one). Some days this was simple work : “Mom wanted to keep it simple, direct cremation, no service.” Other days…”I don’t know we want, my seventeen year old son shouldn’t be dead, I shouldn’t be sitting here. We have no money, how will we get through this? !” As different as the scenarios where both people felt pain, both wanted help, and both made me realize that something was amiss in our dealings with the dead. 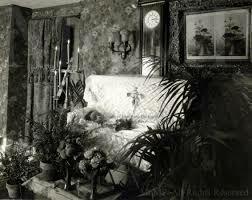 Changes in myself and my funeral home started after I saw the documentary “A Family Undertaking”. The film introduces families who are caring for their own dead and working through death. I saw families and communities come together and grieve and celebrate. And that’s when fireworks went OFF IN MY BRAIN! That’s what I was missing. Community, tradition, celebration. Families came to me because they didn’t KNOW anything else. The “traditional funeral” had only been a tradition for the last 50 or so years. Before that it was the families, the neighbors, the church members who rallied around a family and helped care for those families and the deceased. It was beautiful, sacred and meaningful. Something needed to change I knew this with all my heart. And then something did change. I got pregnant with my first child. Life is amazing and unexpected and then it ends. That’s the way it is and always will be. I left the funeral industry when I was 7 months pregnant and never looked back. A seed had been planted in my heart, and a baby in my belly. As I began a life as a mother I also began my life as an advocate. I knew the funeral industry was shifting. We had all seen rises in cremation, no services, the most inexpensive option. I knew that money was only a portion of the issue here. We as a society had forgotten our roots, our community was spread thin and fraying, and the heart and sacredness of caring for our dead loved ones had been passed onto complete strangers. I had been that stranger, and even though my heart was there for those families, like most funeral directors, I was just a blip in their radar. A stranger who was chosen to help in this huge transition and then never to be heard from again. Just as birth is a momentous occasion that takes months of planning and months of recovery, so is death. But somewhere in the folds of time our society forgot. We decided death was unsanitary, it needed to be hidden and unseen, and when the time comes have a stranger take care of it and then try to move on as quickly as possible. Well, my beautiful friends, I am here to tell you this hasn’t been working. You may think it has but you don’t know what you have been missing. There is a healing that comes from sitting with a dead body. There is a healing that comes with bathing and blessing that body. There is a healing that comes from celebrating a life lost with friends and community. And you don’t need a funeral home, a stranger, to do any of it. I am here, no longer as a stranger, but as an educator. To shift the American views on death and caring for our dead. It can be a beautiful thing. Before my first job, at Stout Family Funeral Home, I had a phobia of death and dying like many Americans. I would hold my breath when I drove past a cemetery or quickly avert my eyes if I saw a hearse driving down the road. If I had to actually enter a cemetery I refused to get out of the car. At the age of 18 I was in tears shaking with utter fright sitting in a parked car while my friends explored an old cemetery. If me from the future told that 18 year old girl she would one day work with the dead I think she would have fainted on the spot! So how did I get here? I was 20 years old and living in a small town in Southern California. The only funeral home was family owned and my boyfriend at the time was the apprentice embalmer. One day he asked if I could “help out”. My chest clenched up and my palms began to sweat. Hesitantly I said yes, to what I thought would be a one time errand, little did I know my life would be forever changed. My first job was simple enough: Drive this casketed body to the airport cargo area. I never saw the body or even the casket. The body had already been loaded in the back of the van. They gave me the authorized paper work and just like a UPS delivery man I was on my way. At the airport the cargo men unloaded the deceased for me and I drove back. I think I was smiling the whole way saying out loud I did it!! I did it!! I faced my fears and survived! Little did I know my next job wouldn’t be so simple. Instant fear took over my body. A baby!? How do I even do this!? The lump in my throat grew as my eyes well up with tears. And just as quickly as the tears started to come and the fear took over a calming voice came into my head, “Do this unthinkable act with love.” As I sit here typing this I still get chills. It has been over 9 years and I can feel that moment and hear that voice. I sucked up my tears and said, “Ok, I am ready.” With a baby you don’t take the gurney like you would for an adult. 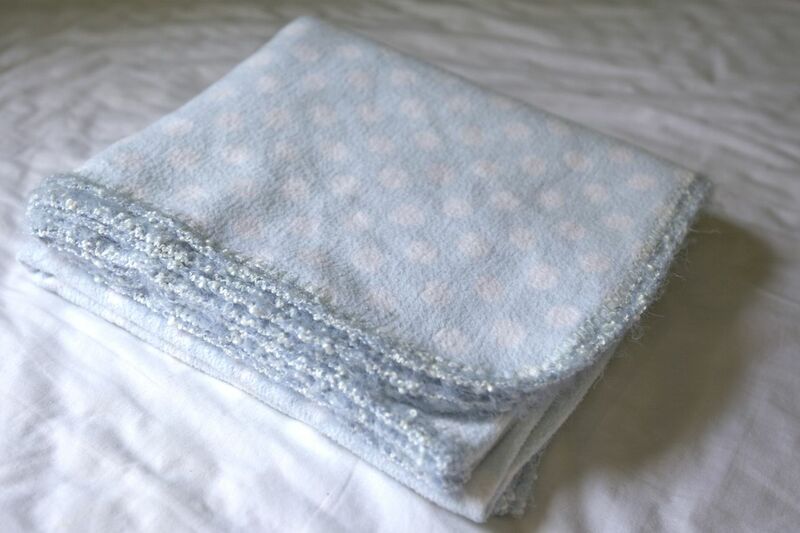 Some people put the baby in a box, I decided to bring a blanket. When I arrived at the hospital I gave the nurse all the paper work so she could release this tiny baby into the funeral homes care. She asked if I had anything to carry the baby in and I handed her the blanket. She gave me a sweet smile and walked down a hall. As I stood waiting for the nurse to return all those old fear came rushing back. I felt weak in the knees, light headed, and that heavy heart feeling took over. “Breathe, Lauren, Breath, do this with love, don’t start crying now” I repeated this in my head over and over trying not to cry for what felt like half an hour. And then I saw her walking towards me with a wrapped up bundle. I took in a huge breath and held out my trembling arms. The nurse gently handed me the baby and I walked out of the hospital quickly so not to be seen by others and just in case I started bawling my eyes out. I will never forget that day or the love I felt, or the fear I overcame. That was the beginning of my journey. And I am thankful. Something has happened to me as a result of meandering through many realms of consciousness over the past fifty years that has changed my attitude toward death. A lot of the fear about death has gone from me. I am someone who actually delights in being with people as they are dying. It is such incredible grace for me. In the morning, if I know I am going to be with such a person, I get absolutely thrilled because I know I am going to have an opportunity to be in the presence of Truth. It is now becoming acceptable in our culture for people to die. For many decades, death was kept behind closed doors. But now we are allowing it to come out into the open. Having grown up in this culture, the first few months I spent in India in the 1960’s were quite an experience. There, when someone dies, the body is placed on a pallet, wrapped in a sheet, and carried through the streets to the burning grounds while a mantra is chanted. Death is out in the open for everyone to see. The body is right there. It isn’t in a box. It isn’t hidden. And because India is a culture of extended families, most people are dying at home. So most people, as they grow up, have been in the presence of someone dying. They haven’t walked away from it and hidden from it as we have in the West. I was certainly one of the people in this culture who hid from death. But over the past few decades I have changed dramatically. The initial change came as a result of my experiences with psychedelic chemicals. I came into contact with a part of my being that I had not identified with in my adult life. I was a Western psychologist, a professor at Harvard, and a philosophical materialist. What I experienced through psycheldelics was extremely confusing, because there was nothing in my background that prepared me to deal with another component of my being. Once I started to experience myself as a “Being of Consciousness” – rather than as a psychologist, or as a conglomerate of social roles, the experience profoundly changed the nature of my life. It changed who I thought I was. Prior to my first experience with psychedelics, I had identified with that which dies – the ego. The ego is who I think I am. Now, I identify much more with who I really am – the Soul. As long as you identify with that which dies, there is always fear of death. What our ego fears is the cessation of its own existence. Although I didn’t know what form it would take after death – I realized that the essence of my Being – and the essence of my awareness – is beyond death. The interesting thing to me at the time was that my first experience with psychedelics was absolutely indescribable. I had no concepts to apply to what I was finding in my own being. Aldous Huxley gave me a copy of The Tibetan Book of the Dead. As I read it, I was amazed to find myself reading lucid, clearly articulated descriptions of the very experiences I was having with psychedelics. It was immensely confusing to me because The Tibetan Book of the Dead is 2500 years old. I had thought, in 1961,that I was at the leading edge of of the unknown. But here was an ancient text which revealed that Tibetan Buddhists already knew – 2500 years ago – everything I had just learned. The Tibetan Book of the Dead was used by Tibetan Buddhist lamas to read to fellow lamas as they were dying, and for forty-nine days after their death. Tim Leary, Ralph Metzner, and I began to see the Book in metaphorical terms as the story of psychological death and rebirth, even though it was originally intended as a guide through the process of physical death and rebirth. I now think that the idea of dying and being born into truth, or wisdom, or spirit is really what our business is when we talk about death. When you extricate yourself from the solid identification with your body, you begin to have the spaciousness to allow for the possibility that death is a part of the process of life – rather than the end of life. I feel this very deeply. People ask, “Do you believe that there is continuity after death?” And I say, “I don’t believe it. It just is.” That offends my scientific friends no end. But belief is something you hold on to with your intellect. My faith in the continuity of life has gone way beyond the intellect. Belief is a problem because it is rooted in the mind, and in the process of death, the mind crumbles. Faith, consciousness, and awareness all exist beyond the thinking mind. In the past, what I endeavored to do in partnership with Stephen and Ondrea Levine, Dale Borglum, and Bodhi Be (Sufi friend of mine) is to create spaciousness around death. We had different programs like the Dying Hot Line on which people could call and have a kind of pillow talk with people who would help them stay conscious through the process of dying. We also – back in the early Eighties – had a Dying Center in New Mexico. My model was that I knew being with people who were dying would help me deal with my own fear of death in this lifetime. In the Theravadan Buddhist traditions, they send monks out to spend the night in the cemetery, where the bodies are thrown out uncovered for the birds to eat. So the monks sit with the bloated, fly-infested corpses, and the skeletons, and they get an opportunity to be fully aware of all of the processes of nature. They have the opportunity to watch their own s and loathing, and their fear. They have a chance to see the horrible Truth of what “as I am now so you must be” really means. Seeing the way the body decays, and meditating on the decay opens you to the awareness that there is a place in you that has nothing to do with the body – or the decay. That combination led me, as early as 1963, to start to work with dying people and to be available to them. I am not a medical doctor. I’m not a nurse. I’m not a lawyer. I’m not an ordained priest. 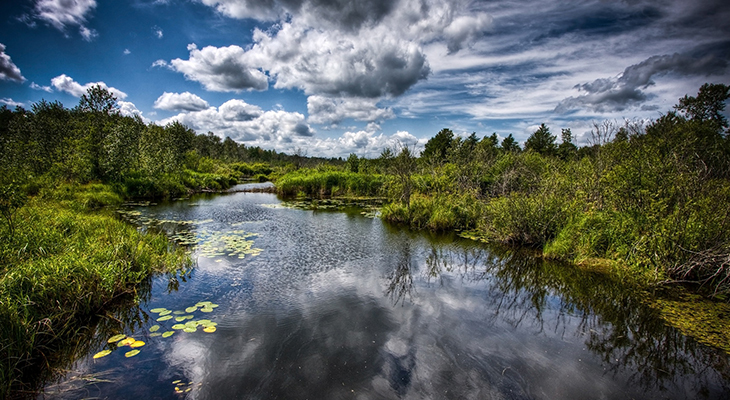 But what I can offer to another human being is the presence of a sacred, spacious environment. And I can offer them love. In that loving spaciousness they have the opportunity to die as they need to die. I have no moral right to define how another person should die. 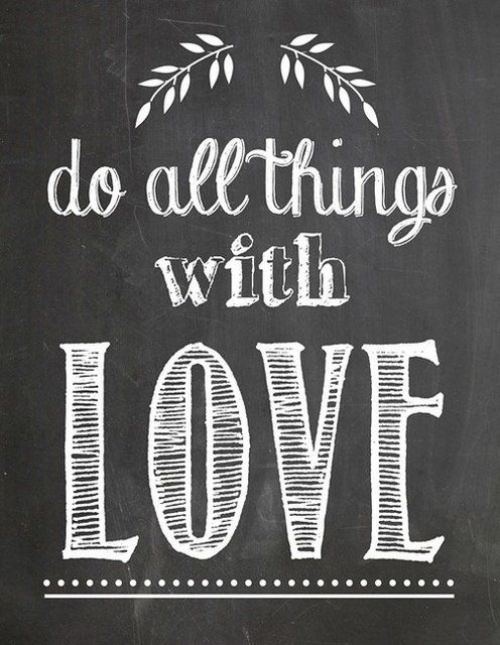 Each individual has his or her own karma – their own stuff to work out. It is not my job to say, “You should die beautifully,” or “you should die this way or that way.” I have no idea how another person should die. When my biological mother was dying back in a hospital in Boston back in 1966, I would watch all the people come into her room. All of the doctors and relatives would say, “You are looking better, you are doing well.” And then they would go out of the room and say, “She won’t last a week.” I thought how bizarre it was that a human being could be going through one of the most profound transitions in their life, and have everyone they know, and love, and trust lying to them. Can you hear the pain of that? No one could be straight with my mother because everyone was too frightened. Even the rabbi. Everyone. She and I talked about it and she said, “What do you think death is?” And I said, “I don’t know, Mother. But I look at you and you are my friend, and it looks like you are in a building that is burning down, but you are still here. I suspect when the building burns entirely, it will be gone, but you will still be here.” So my mother and I just met in that space. With Phyllis, my stepmother, I was more open, and she could ask whatever she wanted to ask. I didn’t say, “Now let me instruct you about dying,” because she would not have accepted that. But then came the moment when she gave up, and she surrendered, and it was like watching an egg breaking and seeing a radiantly beautiful being emerge, and she was clear, and present, and joyful. It was a Beingness that she always at some level had known herself to be. But she had been too busy all her adult life to recognize it. Now she opened to this beautiful Being in the core of who she was, and she just basked in its radiance. At that moment, she went into another plane of consciousness, where she and I were completely together, just Being. The whole process of dying was just moments of phenomena that were occurring. But when she surrendered, she was no longer busy dying, she was just being . . . and dying was happening. Right at the last moment, she said, “Richard, sit me up.” So I sat her up and put her legs over the edge of the bed. Her body was falling forward, so I put my hand on her chest and her body fell back. So I put my other hand on her back. Her head was lolling around, so I put my head against her head. We were just sitting there together. She took three breaths, three really deep breaths, and she left. Now, if you read The Tibetan Book of the Dead, you will see that the way conscious lamas leave their bodies is to sit up, take three deep breaths, and then leave. So who was my step-mother? How did she know how to do that? These bodies we live in, and the ego that identifies with it, are just like the old family car. They are functional entities in which our Soul travels through our incarnation. But when they are used up, they die. The most graceful thing to do is to just allow them to die peacefully and naturally – to “let go lightly.” Through it all, who we are is Soul . . . and when the body and the ego are gone, the Soul will live on, because the Soul is eternal. Eventually, in some incarnation, when we’ve finished our work, our Soul can merge back into the One . . . back into God . . . back into the Infinite. In the meantime, our Soul is using bodies, egos, and personalities to work through the karma of each incarnation. Embalming : A Quick History and Why You Don’t Need it! 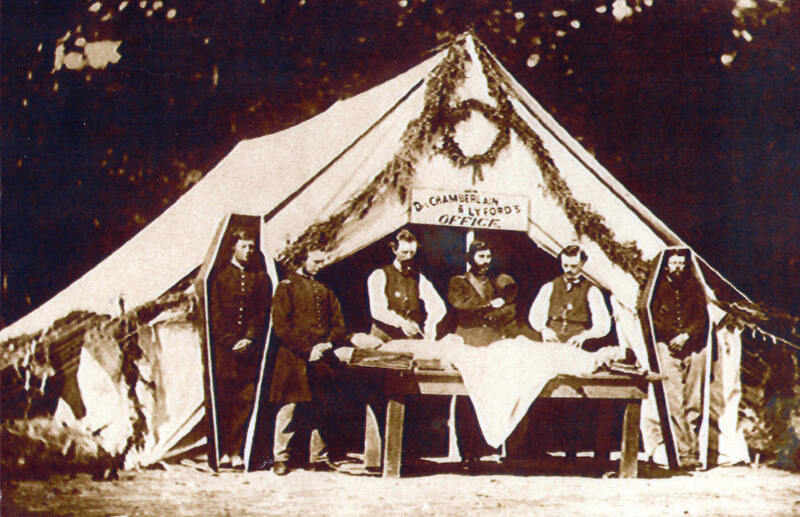 Here is a brief history lesson on embalming in America: During the Civil War soldiers of the North were dying far from home and the families couldn’t bare the thought of their loved ones being buried in Southern soil (or so the stories go). 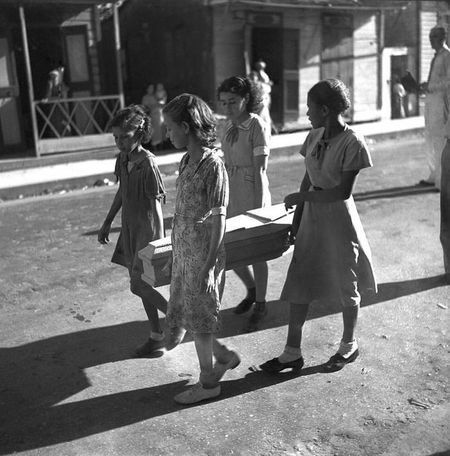 Field Doctors began to practice techniques to preserve the bodies so they could be shipped back to their families for burials. The techniques were primitive removing the blood and then using a cocktail of alcohols to “pickle” the organs. This would kill the enzymes and slow down the natural decay of the body. The technique was modernized by Dr. Thomas Holmes(the “Father of Modern Embalming“) and used through out the war. President Lincoln was the first president to be embalmed so his body could travel by train across the states, but after the war many people thought this procedure was invasive and unnecessary and embalming faded into the back burners until the 1920’s. So what DOES embalming do? Quite simply it slows down the decomposition process. Yes, I said SLOWS, but you cannot stop decomposition it will happen eventually. Embalming fluid(formaldehyde) is extremely hazardous. Embalmers where protective gear to not only protect themselves from blood borne pathogens but from the carcinogenic embalming fluid! This toxic fluid is pumped into a body for the purpose of a viewing (most funeral homes include embalming into service packages so even if there is no viewing embalming may be preformed) and then the body and all that toxic fluid is buried into the earth(along with a steel casket). That is roughly 827, 060 GALLONS of embalming fluid a year going into the earth! Why don’t you need to embalm a body? Well to start it is not required by any state. There is no law anywhere that says you must be embalmed. Even for transportation on an airplane the body can be placed on dry ice in a special “traveling casket.” Many religions including Judaism and Muslim don’t allow embalming their dead as part of their religious traditions. The next reason? You can “preserve” a body for viewing using dry ice. It will slow down decomposition and give the body a more natural look because, hey, it is natural for a body to be un-embalmed anyway! And as a bonus you wont be adding to the pools of embalming fluid being added to the Earth. I am just scratching the surface here. Planting seeds. Change is happening. There is so much we don’t know because we have been so detached from death and dying in America. Each week I will do my best to enlighten you and hopefully you will take the information you learn and enlighten someone else, and so on and so on. Talk about it. Question your own beliefs on death and dying. Thank you for being part of the change. And welcome to Returning Home.